The Pine Ridge Oglala Lakota (Sioux) reservation lies hard against the South Dakota badlands to the north and just east of the Black Hills to the west. It is a land of harsh and stunning extremes. Brutal winter blizzards with hauntingly howling winds and bitter cold temperatures followed by oppressive, sweltering hot summers. Oglala Lakota county (formerly Shannon County) is among the two or three poorest counties in America, including Appalachia, and it has the low life expectancy and extreme high unemployment rate that is to be expected in such a place. There is currently a teen suicide epidemic that is both tragic and of course deeply hurtful to the Oglala people. These are the descendents of the great Oglala Sioux Chief Crazy Horse and even amid staggering poverty and neglect they remain a strong and proud people in the face of unimaginable difficulty. This is the place where in the turbulent nineteen seventies a gunfight broke out on a hot June day that took the lives of three people. Two FBI agents and one Native American man. Less then two months after the fall of Saigon, Pine Ridge was in a state of utter chaos and dealing with a tribal civil war that had strong cultural overtones and environmental implications. It was just two years after the Wounded Knee occupation that had the nation riveted each evening to the six o'clock news. Today many of the participants of that drama are gone. Many of the lawyers, judges, and one of those charged and found innocent on grounds of self defense is gone. 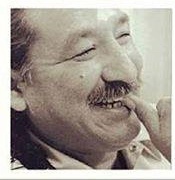 Only Leonard Peltier remains behind bars as a distant reminder of those hateful and fateful days. Many of his greatest supporters and champions are gone too. Senator Daniel K. Inouye of Hawaii, the senior statesman and Congressional Medal of Honor recipient spoke often in support of a new trial or freedom for Leonard Peltier. The late Eight Circuit Court Judge Gerald Heaney wrote in support of Peltier and spoke on national television for him. Nelson Mandela, and Mother Theresa spoke up for him. Authors Peter Matthiessen, Kurt Vonegut, William and Rose Styron and others wrote eloquently in support of his freedom. Ironically another of his supporters passed on this week. The great American writer E.L. Doctorow was a very strong advocate for his freedom. Yet Peltier remains in prison, paying the price for the deaths of the two agents. Now forty years on, it seems like another lifetime to me. I often wonder what it must seem like to him. Today he is being held at the Coleman 1 maximum security prison in Wildwood, Florida. It is some 2000 miles from his home and family on the northern plains and, as a result he rarely sees his children, grandchildren, or great grandchildren, some of whom he has never held or touched. He has had to deal with the deaths of his parents and siblings from the cold steel confines of his prison cell. He is approaching 71 years of age and his health is failing. He suffers from a heart condition, Diabetes, high blood pressure, failing eyesight, maxillofacial Jaw issues that prevent him from being able to eat most foods, hip problems and others. The circumstances of his conviction have long been a subject of controversy. Alternatively studied in law schools and discussed in public forums including 60 Minutes. Amnesty International and other Human Rights organizations have loudly questioned the fairness of his trial. Human Rights Action Center has visited Pine Ridge to speak with and document some of the feelings of the people who remain there today. You can view the video here. We urge people of all ages to please join us in contacting the White House comment line and/or writing to the President and the First Lady on this important Human Rights issue.